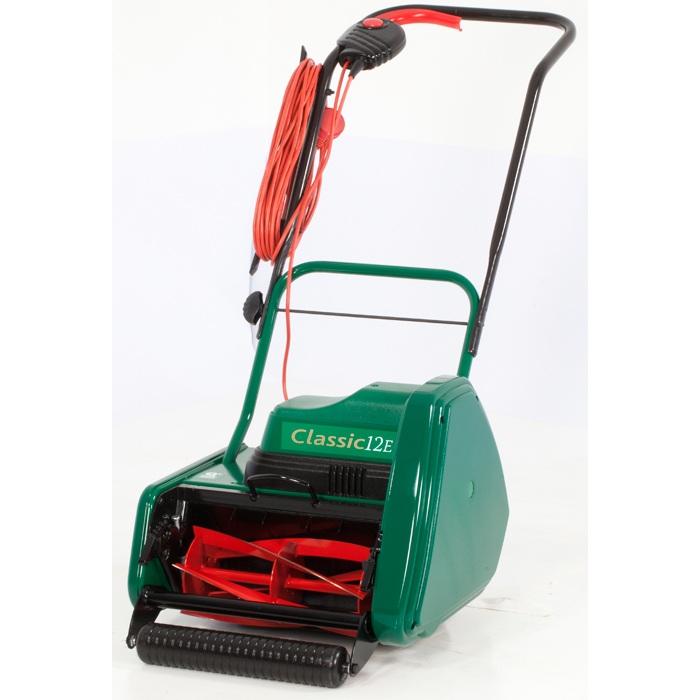 The Classic Electric Cylinder Mower (12E Plus) is an easy to use push mower that provides an impressive 12” (30.5 cm) cut, and promises to make the neighbours jealous, bringing class and excellence to every lawn it comes into contact with. Allett have spent almost half a century delivering high quality, 5-star products to help produce crisp lawn stripes with efficiency and precision, and the Classic Electric Cylinder Mower is no different. The five bladed cutting cylinder allows variable cuts per metre, and the machine is powered by a mains electric 420W motor. Unlike rotary mowers, cylinder mowersuse a powerful set of sharp forward spinning front-mounted spiral blades. With simple remove and replace features, the cutting-cylinder can be replaced with any supported Allett accessories to add a custom finish to your lawn. With an impressive cable length of 50 feet, there shouldn't be any areas on your lawn that you're unable to reach, and being so lightweight makes pushing really easy. 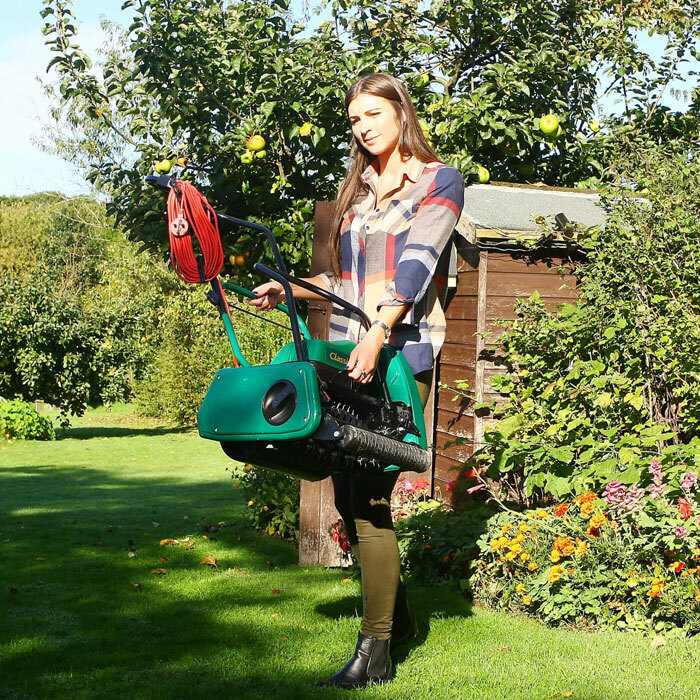 The Classic 12E electric cylinder mower delivers a cutting width of 30.5 cm (12”³) and has an overall body width of 48cm (19”³), achieving the perfect lawn in as little time as possible – leaving you with more time to relax in it, appreciating the stunning view of your contrasting lawn stripes. Additionally, the machine only weighs in at 21.7kg even with the 32 litre grass box, so is easily manoeuvrable and as compact as possible. For an additional level of lawn care an optional powered scarifier, aerator or lawn brush cartridge can be fitted easily in place of the mower's standard cutting unit. 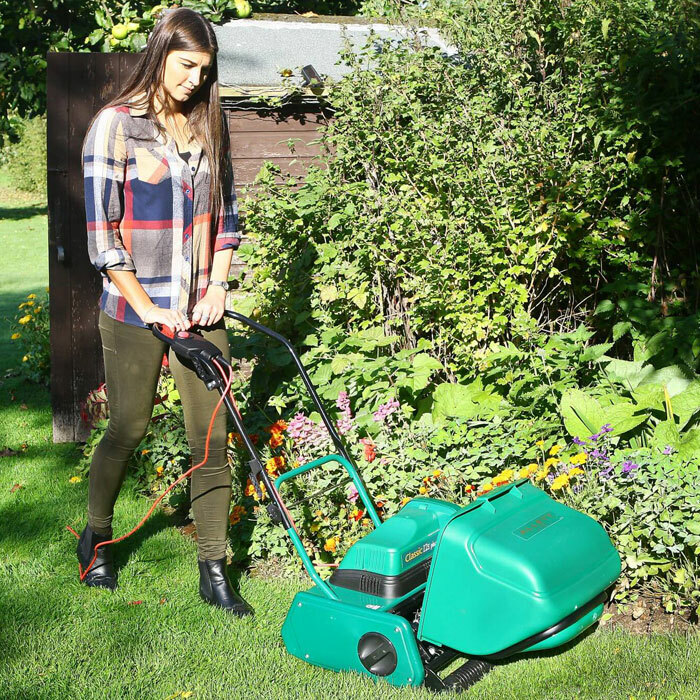 The Classic Electric Cylinder Mower carries a one-year warranty on parts and labour. Overall Width 48cm / 19"